A touch free soap dispenser. 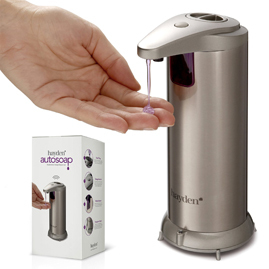 Simply put your hand in front of the sensor and a controlled amount of soap is dispensed into your palm. Great for health conscious people that worry about getting germs that are commonly found on push button dispensers and surfaces. An addon that connects to a regular faucet to convert it into an automatic faucet. 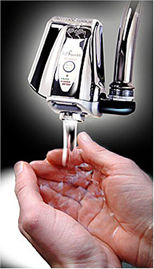 Place hands in front of the motion sensory and water is dispensed automatically. Great way to minimize touching potentially dirty surfaces and taps. 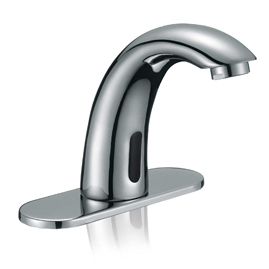 A touch free faucet that is activated when you place your hands in front of the sensor. Great for health conscious people that worry about picking up germs and bacteria that are commonly found on regular faucet taps. 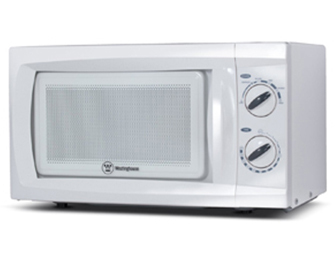 A microwave that has a rotating dial for setting the amount of time to heat food. The turning dial is great for people with difficulty using touch pads due to poor hand coordination or strength. Great for sufferers of arthritis. 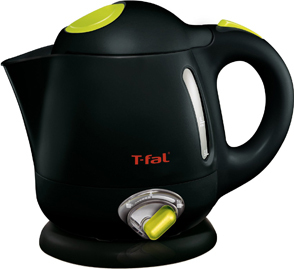 A kettle that automatically turns itself off after water has boiled. Great for people that forget to turn off the stove when boiling water for tea or coffee. Excellent choice for those with impaired memory and/or decreased attention span. 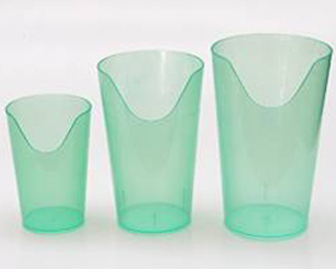 A special plastic cup with a curved cut out. This is commonly used by people that have difficulty with extending their heads or neck backwards to drink from cups or mugs. The curved cut out means the fluid comes out more easily upon tilting.